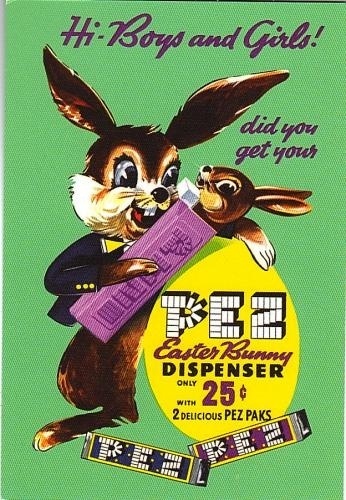 I'll admit right now: I love PEZ. Not just the cute dispensers, but the candy too. 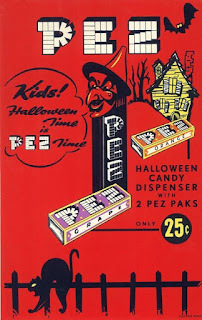 I grew up with PEZ. 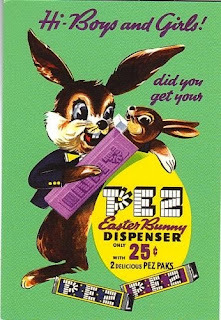 There was always a PEZ dispenser in my Christmas stocking, my Easter basket, and various other times of year as well. I still have a little family of PEZ dispensers, mostly with holiday and Peanuts themes. PEZ was created in 1927 by Eduard Haas III in Vienna, Austria. He initially planned to make a candy to help smokers stop smoking. 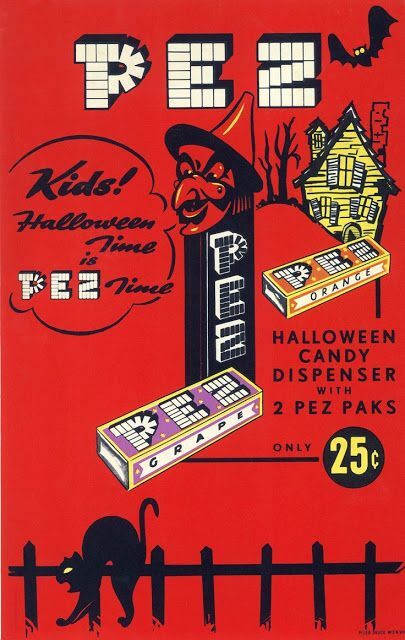 The initials PEZ are short for the German word for peppermint, "pfefferminz." 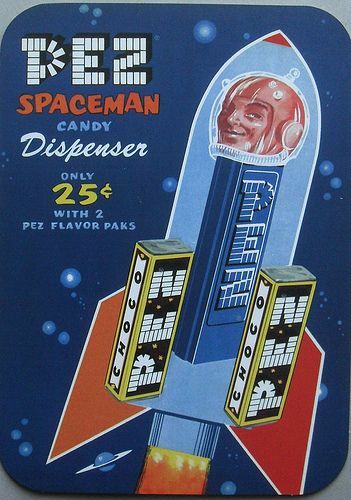 Early PEZ dispensers were shaped like a cigarette lighter. 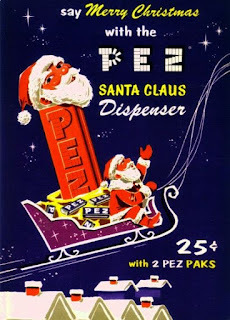 Plastic production slowed during World War II, but this product picked up again in 1952 (PEZ-Haas in New York City) -- and the cute PEZ dispensers first appeared in 1955. The first dispensers were Santa Claus and Mickey Mouse. In 2006 the original owners of the Pez company purchased 67.5% of the company stock, so the company is now headquartered in Traun, Austria, and Orange, Connecticut. The candy is produced in Austria and Connecticut, while the dispensers are made in Hungary and China. 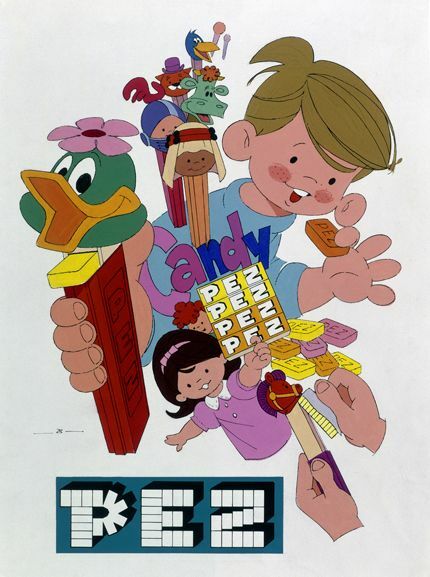 PEZ comes in many different flavors, but the most common flavors in the USA are grape, orange, lemon, raspberry, and strawberry. There are 12 pieces of candy in a standard PEZ roll. Many different PEZ characters have been available over the years. These included some historical characters during the American Bicentennial (Betsy Ross, Paul Revere, Daniel Boone), Star Wars, Elvis Presley, The Wizard of Oz, and more. Vintage PEZ dispensers can be quite valuable. The most valuable PEZ dispensers were three political donkeys owned by President Kennedy (valued $13,000). 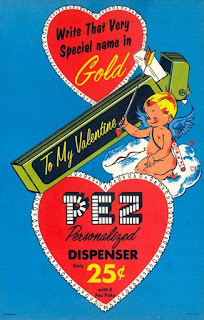 Do you love PEZ? Do you have any PEZ dispensers? Would love to hear from you in the comments, below!